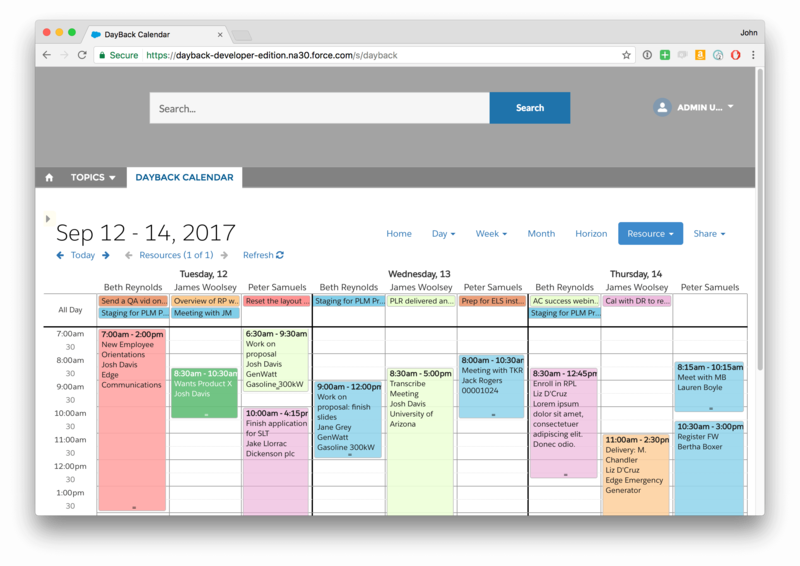 Does DayBack work in Salesforce Communities? DayBack licenses can be allocated to Community Users just as would with your internal users. For Communities, we also recommend setting the DayBack Connected App "Permitted Users" field to "Admin approved users are pre-authorized," and then specifying the Community User profile along with any internal profiles that will be accessing DayBack. This allows your Community Users to bypass the one-time authorization page. Of course, all Profile, Permissions and Sharing rules apply to the Community User as well. 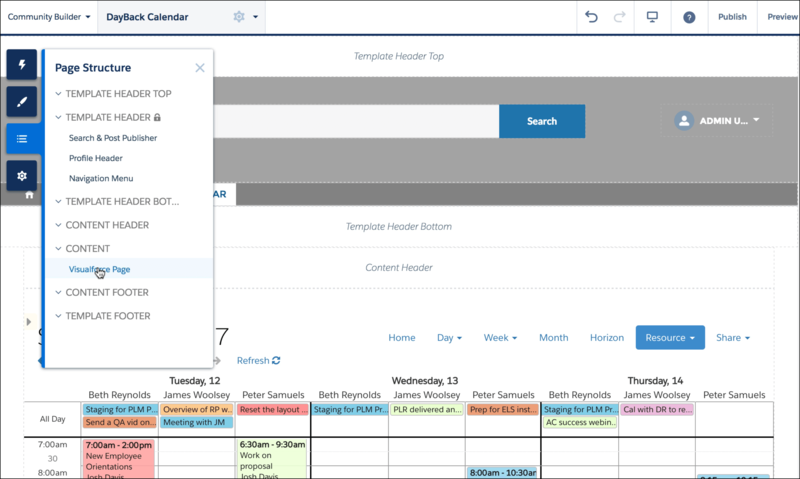 To add DayBack in the Lightning Community builder, select "Visualforce page" as shown below and drag that into any content area. In the example below, we create a new single-column page and placed it there.